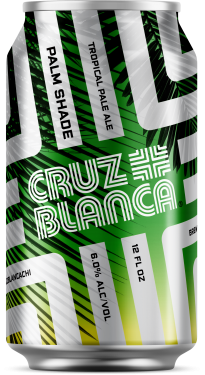 Cruz Blanca Brewery | Chicago – Cruz Blanca is a small-batch Chicago brewery passionately focused on ModMex lagers, sunny IPA’s and tropical wild-fermented sours. 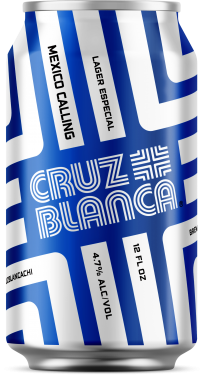 Some calls are totally worth answering, so kick back and enjoy a Mexican lager brewed with heaps of Vienna malt, subtle hops, and absolutely zero adjuncts. The result is an endlessly refreshing sunny lager with balanced sweetness and light bitterness. Add this to your favorites list. Brewed to connect and inspire. We elevated the classic American IPA with a Chicago backbone. Assertive malt character blends with pointed bitterness and floral, piney, and citrus-forward aroma from Chinook, Mosaic, Citra, and Simcoe hops. All aboard the crosstown line! Inspired by coastal culture, Palm Shade combines the tropical fruit hop aroma of a modern IPA with the deeply quenching drinkability of a pale ale. Our malt build offers a soft canvas for fruit-forward hops with subtle bitterness and vibrant notes of mandarin orange, mango, and pineapple. Keep all lines open and flowing is an expression inspired by our crossroads logo; it’s a mantra for making and serving good beer, as well as a reflection of our commitment to sharing and exploring possibilities. 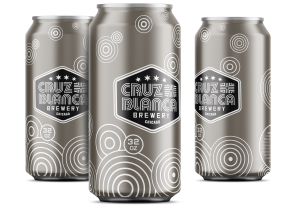 Cruz Blanca makes beers that open people up to new flavors, new ideas, and new experiences. From hoppy Mexican lagers and sunny IPAs that transport us to warmer places, to the less-travelled roads of barrel-aged and wild fermentation ales, there’s always a journey in the beer that keeps us curious about what’s next. We’re all at the same long table, and there’s always room for one more. Let’s keep all lines open and flowing. Kick back at our award-winning brewpub in Chicago’s West Loop. 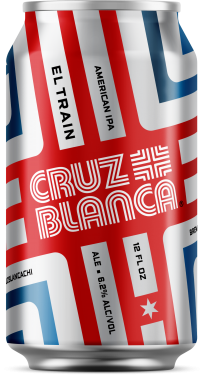 Sample the latest Cruz brews from inspired, small-batch beers to innovative barrel-aged and wild fermentation ales. Feast on the best brewpub fare in Chicago featuring our smoke alley taquería from acclaimed Chef Rick Bayless. The Cruz Blanca fiesta is on and all are welcome.